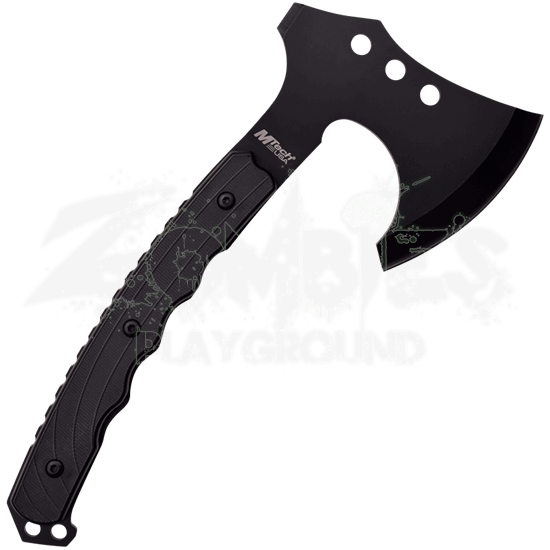 When you are looking for a wide cutting blade and modern style, this Bearded Black Tactical Axe is an excellent choice. Blending Viking era lines with modern materials, this hand axe will work equally well for camping or defense. 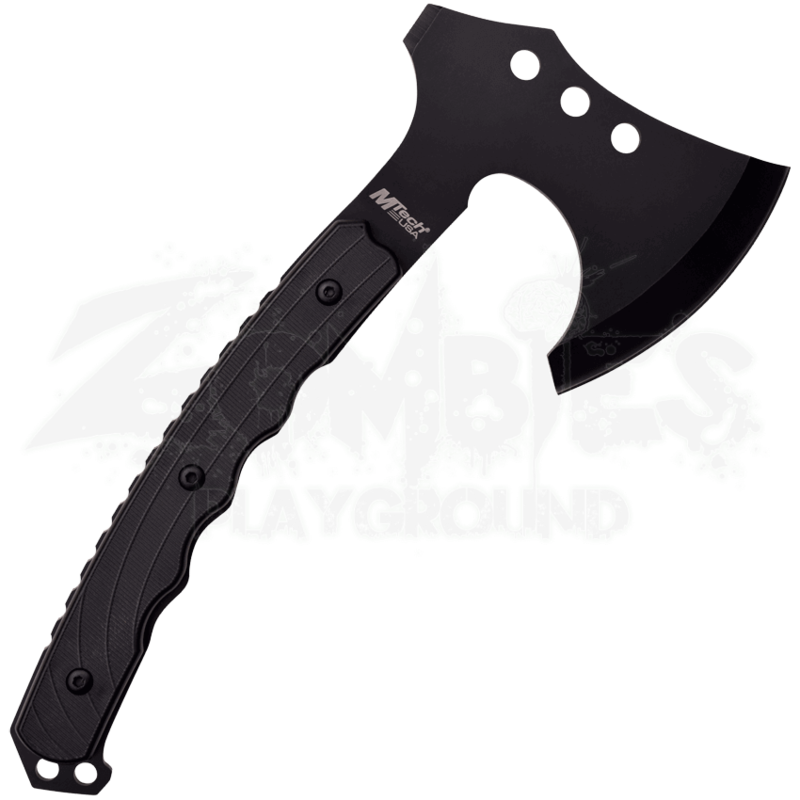 The bearded axe blade has a generous 3.5 inch cutting length and is made from 4mm thick stainless steel. Three holes along the top of the blade reduce overall weight, allowing you to chop for longer with ease. The full tang handle provides a secure grip. Two lanyard holes at the end of the handle allow for custom cord attachments.